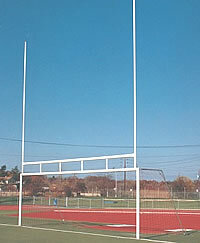 If your school or organization is in need of a football goal post, have a look at our selection below. 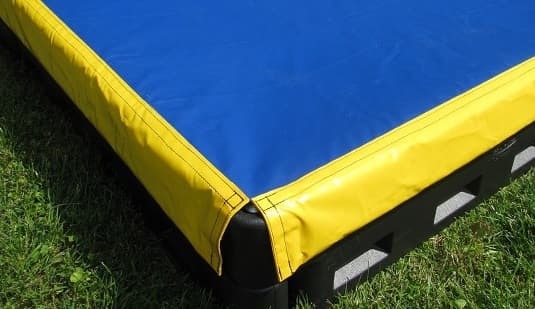 If you have any questions about these football goal post or other sports equipment, including playground equipment, just give us a call at 877-840-0707. The classic gridiron football post. 4½” O.D. bent pipe with 5′ extension.Uprights: 1-7/8″ O.D. 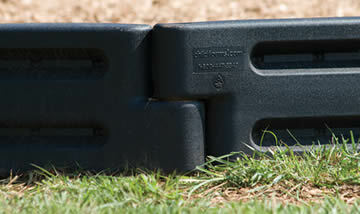 Cross bars: 3½” O.D. 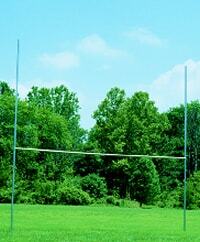 Please specify crossbar of 23’4″ or 18’6″. 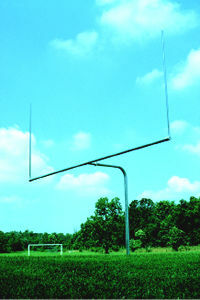 Goals (pair) with 10′ uprights weighs 660 lbs. • $3,532.00 per pair, painted Unit# 561-445PGoals (pair) with 20′ uprights weighs 700 lbs. Protective padding attaches to the base of any of our Single Post Football Goals to protect players from possible impact. Colors available: red or blue. Weight: 5 lbs. Ships via UPS. Standard model has 2-3/8″ O.D. supports and cross bar.